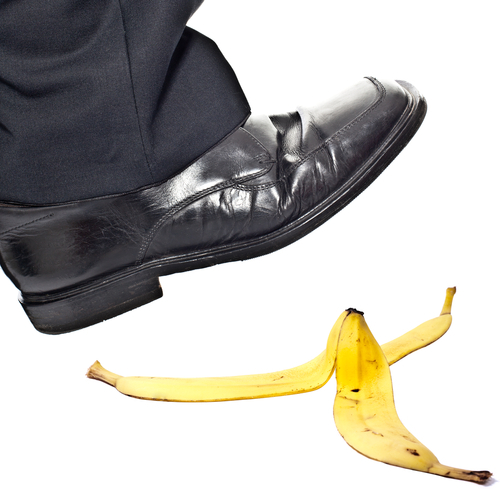 Small Business IT Systems and Products: Don’t slip up, backup! I like this slogan that my colleague Emma came up with, it is only too easy to slip up and ignore your backups. The best way is to have some form of automated backup process that works in the background and only alerts you if it has not worked, but it is always good to check occasionally. There are several ways to look after your data and each one has its merits and drawbacks. The simplest and often easiest is to copy your files to another drive or the cloud. This can be very simple and works well for simple file data, but as you move to database and shared applications this approach may not be adequate. If you lose your computer, or if it fails, you will have to rebuild a new one with all your applications before putting the files back. This can be a time consuming and painful process. We have found from bitter experience that “image” based backups work best, they allow you to restore the complete computer, operating system, applications and data. The backup image can be put onto different hardware and you can be up and running in a short time with a minimum of fuss. We think image based backups are a “no brainer” for server and shared computers as you can also use the same process to transfer your server to updated or new hardware, almost without interrupting people using the server.